There’s a lot of talk lately about the differences between generations and how difficult it is to work with a multi-generational workforce. You may be familiar with the gaps in skills, communication preferences and mindsets, but do you know how to work with these differences to bridge the gaps? There are two values that every generation shares, and tapping into these on a personal level will allow employees from different generations to see more of how they are alike than how they are different. 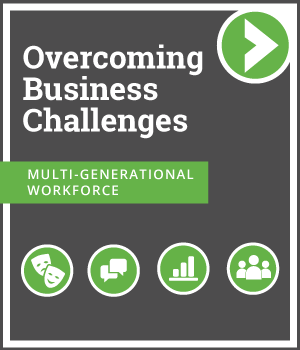 Working with multiple generations doesn’t have to be a burden. Our new guide will help you and your employees understand how to work together and create a culture that values what every generation has to offer.